Summer Cocktails. Doesn't the term conjure up days relaxing in the sun? By the pool? At the beach? Under a big umbrella? Whatever you dream, a big, frothy, frozen cocktail adds to the enjoyment. Especially one handcrafted using the freshest possible, in-season melons. One that is softened by the addition of coconut milk...and spiced with fresh ginger, herbs and a bit of lime juice. Add your favorite vodka and jump into summer. Enjoy! I especially enjoy this cocktail with hot & spicy food...perfect for the recipes on this blog. To customize your cocktail, you can change the proportions of melon to suit your preferences...all watermelon? Perfect. More honeydew than cantaloupe? Fine. Just ensure you equal 4 cups. I love the taste of the three together and the red, orange and green deliver such a beautiful color, don't you think? Place the melon cubes on a parchment-lined rimmed cookie sheet and freeze for 1 hour. Place all ingredients (except mint garnish) in a blender and process until well mixed. Note, the mixture may freeze in the blender. If this happens, stop processing and stir with a wooden spoon to break up cocktail. Resume processing until frothy. Taste and add additional ginger or lime juice if desired. Pour into tall glasses and garnish with fresh mint leaves. Serve immediately. #SummerSoiree roundup. Check out the other delicious sounding recipes from my blogger friends. Do you have a favorite summer cocktail recipe? Please share in the comments section and/or link to your blog if you have one. So this is Corn on the Cob week at Food Network's #SummerSoiree. This is a tough week for me. Every year, when the July and August food magazines are delivered, I read all the corn recipes. I dog-ear the pages, copy down the ingredients needed for the shopping list, purchase said ingredients and then, at the last minute, decide to just boil, roast or grill the corn on the cob. 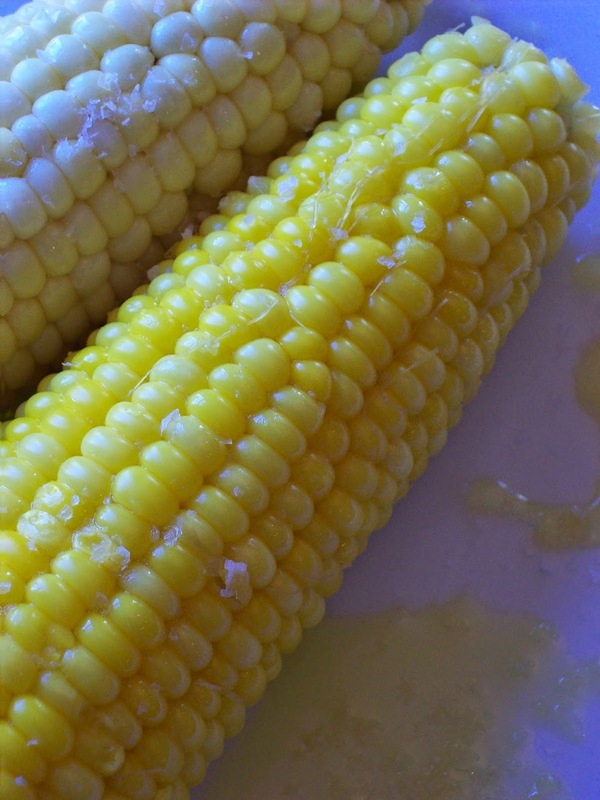 I have created a number of different toppings for the corn and cannot get enough of this simple and easy summer treat. Corn season is so short I rarely actually do the corn salsa, or succotash, or corn soups, or salads, or corn relish, or pudding, or all the other delicious sounding options for fresh corn. Give me corn on the cob drizzled with olive oil and salt, or pesto and Parmesan cheese, or (it is the blog Red or Green? after all, chili powder, salt and lime, or jalapeno olive oil, salsa and cilantro, or vinaigrette with fresh herbs, chipotle and cilantro. The list goes on and on. C'mon..grilled corn on the cob with one of these toppings. What is more representative of summer? Thanks to Bobby Flay and Food Network I have an easy and foolproof way to grill corn perfectly every time. Enjoy! Remove corn from water and shake off excess. 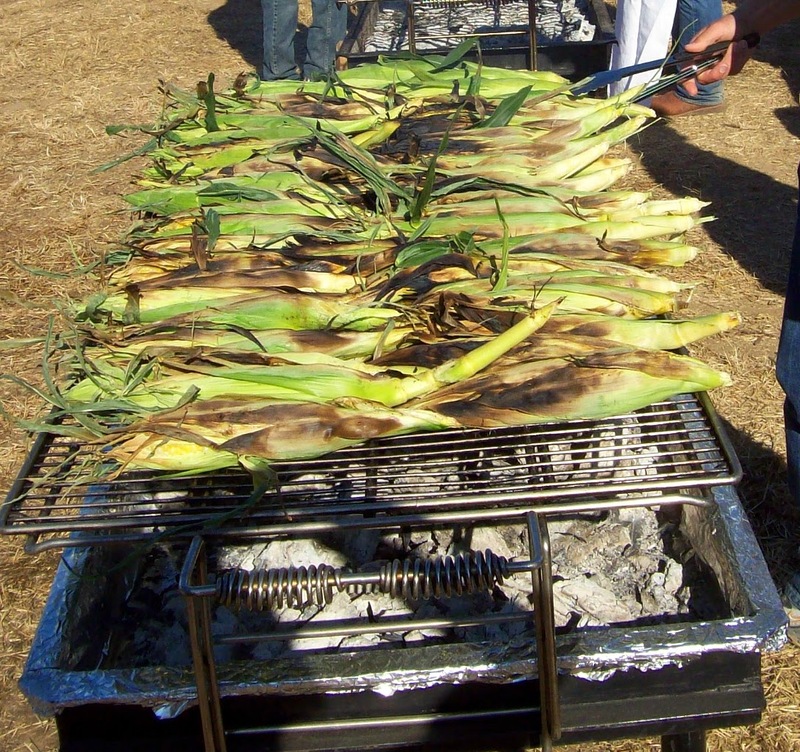 Place the corn on the grill, close the cover and grill for 15 to 20 minutes. Rotate the corn on the cobs every 5 minutes, Continue grilling until you have grill marks on all sides. Remove from grill, pull down the husks and spread butter, olive oil or one of the toppings mentioned above and eat immediately. Alternatively, cut the corn off the cobs and use in one of the recipes listed below. #SummerSoiree roundup. Check out the other delicious sounding recipes from my blogger friends. Do you have a favorite corn on the cob recipe? Please share in the comments section and/or link to your blog if you have one. So...our long construction project is finally finished and we are ready to tackle the back yard. Time for a celebration, don't you think? Even though the yard currently is, literally, just dirt, it is summer and we need to be outside. I decided the food theme would be "alfresco Provençal picnic; cheese, olives, fruit, good bread, roasted vegetables, salads, tarts, crisps and lots of wine. Chicken Provençal is the perfect main dish...easy to make and terrific for a party because you can make it the day before and then serve hot, warm or at room temperature. With tomatoes and peppers coming into their season, this is the dish you will want to make all summer! In a large skillet, heat 2 tablespoons olive oil until hot. Add the onion, bell pepper and cherry tomatoes and sauté until the onion just begins to brown and caramelize. Add the garlic, heirloom tomatoes, jalapeno a pinch each salt and pepper and the Herbs de Provence. Sauté for 5 minutes. Spread the tomato mixture in the bottom of the roasting pan(s). Add the chicken, skin side down, to the pan on top of the vegetables. Add enough of the wine to come halfway up the side of the chicken. Cover pan(s) with lid or foil and place in preheated oven. Bake for 50 minutes. Remove from oven. Remove lid and turn chicken skin side up. Wine should still come halfway up side of chicken. Remove or add additional wine if necessary. Do not let wine come more than half way or chicken will not brown properly. Place chicken back in oven and cook an additional 20-30 minutes, uncovered, until nicely browned. Remove from oven. Place chicken on serving dish. Pour liquid and vegetables into saucepan. Reduce by half, taste and adjust seasonings if needed, and pour over chicken. #SummerSoiree roundup. Check out the other delicious sounding recipes from my blogger friends. Do you have a favorite chicken recipe? Please share in the comments section and/or link to your blog if you have one. This slaw is full of crunchy cabbage and apples with a light, sweet/spicy dressing of seasoned rice vinegar, olive oil and a touch of honey and chipotle chiles. 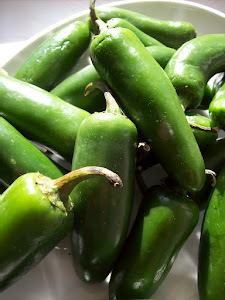 Perfect with barbecue, grilled meat or poultry or as part of a salad dinner....try added to sandwiches, wraps or (my favorite) tacos & burritos. You can make it early in the day; it holds really well. Sometimes I throw in a small handful of chopped pistachio nuts for protein if I am doing a vegetarian meal but this is not necessary. Fast, easy, versatile and very, healthy, the slaw is packed full of nutrients from the cabbage and apples, along with healthy fats and plenty of fiber. Don't you love it when something that tastes delicious is actually good for you? Add cabbage and apple to large bowl. In a jar with tight fitting lid (I use mason jars for my vinaigrette) add vinegar, extra virgin olive oil, honey, adobo sauce, salt and pepper. Screw on lid and shake vigorously until combined. Drizzle half of vinaigrette over cabbage mixture. Stir to combine. Add more vinaigrette to your liking. This slaw keeps in the refrigerator for up to two days. #SummerSoiree roundup. Check out the other delicious sounding recipes from my blogger friends. Do you have a favorite coleslaw recipe? 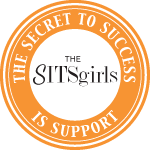 Please share in the comments section and/or link to your blog if you have one.